Blurb Description: Russia is on the brink of great change. 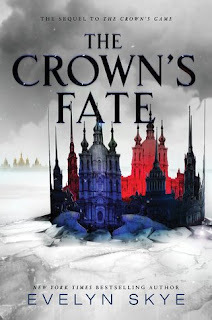 Pasha’s coronation approaches, and Vika is now the Imperial Enchanter, but the role she once coveted may be more difficult—and dangerous—than she ever expected. 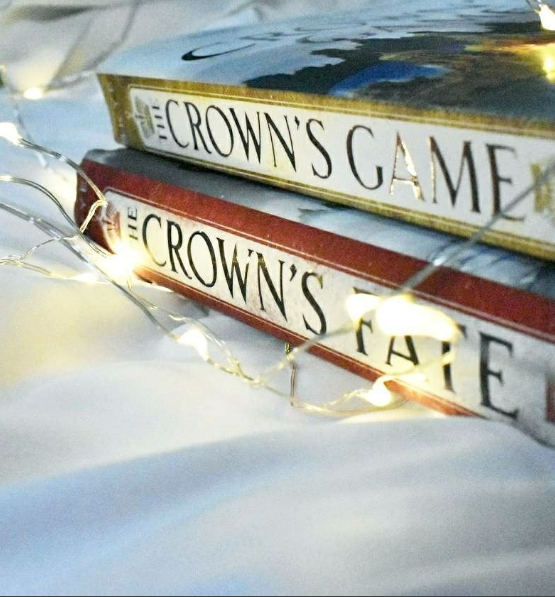 While I loved being immersed in Russia and I loved the magic that surrounded the book even more, I found The Crown’s Game to be slightly predictable and with an Insta-Love Love Triangle. It was a good book, but not a great one. The total change of world and predictability in The Crown’s Fate from book one was the first thing that struck me – I could TELL how much Evelyn Skye’s writing style had matured as she wrote about the darkness that overtook a certain loving character, how she wrote about a playful boy becoming the Tsar of a great country and an enchanter figuring out what it means to be a girl with both power and responsibility. The very change in the writing and the development of the characters really took this book to a whole new level. I’m going to do these two together. I’ve always loved the idea behind the series and I also ADORED the magic in book one. The plot for book two, like the writing, went so much deeper. The magic broke the impossible barriers it had already set in book one, there was more intrigue in the air as all our favourite characters figured out who they were supposed to be in the aftermath of a brutal game. Everything about this book was great until I reached the ending, which was so melodramatic and totally re-highlighted the unnecessary love triangle SO MUCH it made me cringe. I actually closed the book whispered, “No, ANYTHING but that,” and continues reading because in a book that managed to break all clichés, it ENDED IN SUCH AN AWKWARD ONE. Like I said in The Writing, I THOUGHT THE CHARACTER DEVELOPMENT IN The Crown’s Fate WAS GENIUS! The book rotated between the points of view of the three main characters, a little bit of Nikolai’s mother, a guard and other secondary characters. It was just the right amount of characters telling the story that they got it right, especially because almost all of them had their own internal turmoil going on and it made me feel like I knew these characters more. A richly created Russian Fantasy with barrier breaking magic. I can only wish that the ending was better and this book would’ve gotten a solid five stars from me! 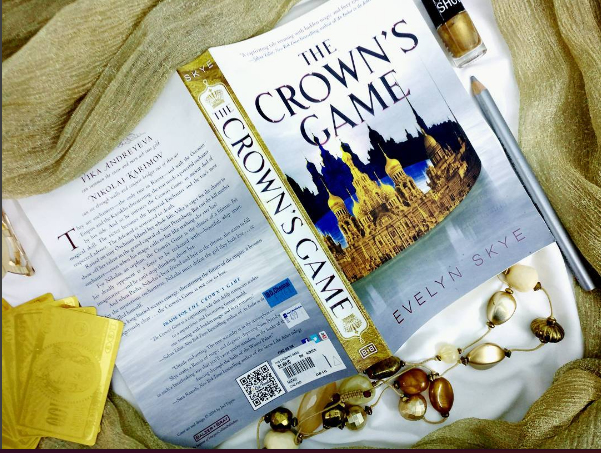 Evelyn Skye is the NEW YORK TIMES Bestselling author of THE CROWN'S GAME and its sequel, THE CROWN'S FATE. New series--CIRCLE OF SHADOWS--coming Fall 2018. Evelyn was once offered a job by the C.I.A., she not-so-secretly wishes she was on "So You Think You Can Dance," and if you challenge her to a pizza-eating contest, she guarantees she will win. When she isn't writing, Evelyn can be found chasing her daughter on the playground or sitting on the couch, immersed in a good book and eating way too many cookies. She can be found online at www.evelynskye.com and on Twitter @EvelynSkyeYA. 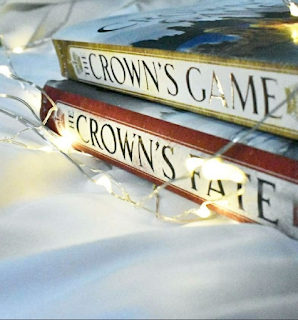 Have you read The Crown's Game series? What did you think of it? What are some of your favourite historical fiction novels? I'd love to hear some recommendations! Thanks so much for stopping by, everyone. Although I may not find time to respond, your comments TRULY make my day brighter.